It happened again. 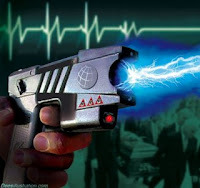 This time an off-duty Orlando police officer decided he was within his rights to pull out a taser gun to pump 50,000 volts of electricity into 33-year old Adam Spencer Johnson. Why? Because he thought that Johnson was acting irrationally. Since when does being irrational earn you the death penalty? 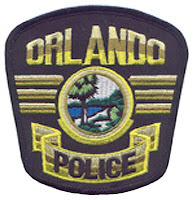 According to Orlando police, officers working off-duty at the theme park were called by Universal Orlando security about a person who was acting irrational -- pacing back and forth, pulling his hair and rubbing his beard -- in front of the theater at Universal CityWalk. "The security from Universal said that he may have been grabbing a patron. His behavior was completely irrational," Orlando police Sgt. Barb Jones said. Johnson hadn't grabbed anyone ... in fact, he hadn't done anything violent at all ... at least not until the off-duty Orlando police officers tried to restrain the man. At that point the unidentified police officer electrocuted Johnson with a taser gun. While the man was on the ground, he became non-responsive, police said. The officers performed CPR on the man, who was then taken to the hospital. He died earlier this morning. Johnson worked for the last several years as the Operations Manager at Crown Shredding in Winter Haven. He told co-workers that he planned to celebrate his birthday in Orlando with a friend from out of town. We understand that there is surveillance video of this taser-related killing. Our hope is that the Florida Department of Law Enforcement, who is investigating this killing, will share the video with the public. 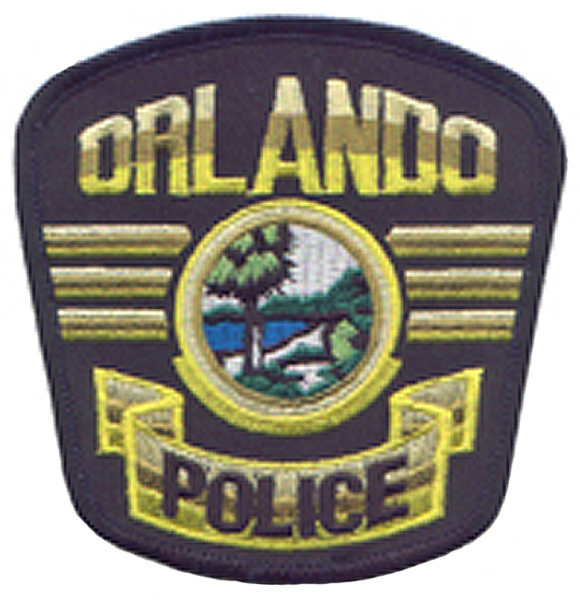 All of the Orlando police officers, one of whom was on patrol and four who were working off-duty, will be placed on administrative leave, which is standard procedure. I wonder if this young man was a victim of gangstalking, as the vague and subjective accusation of "irrationality" adequately describes only a nebulous excuse to opportunistically perform a hit on someone already targeted for whatever reason. See http://www.freedomfchs.com/index.html for info on the high-tech and pervasive societal network of covert criminal activity ideal for ushering in a complete fascist regime. Adam Spencer Johnson was a good friend of mine. His girlfriend of ten years is one of my closest friends. Adam was a rational guy who would never harm a soul, he was funny and the sweetest guy ever! He shopped at my comic shop, played card games here weekly. Real nice guy, sociable with all of us and never caused a problem. Adam was my best friend and my soul mate. We were inseparable for the last ten years. Adam was not the kind of guy to do drugs. In our entire time together I never once knew him to do drugs. He didn't even care to drink. He also was most definitely not a violent man. He was the kind of guy who wouldn't even squish a bug; instead he would catch it in his bare hands and walk it outside. He was just a sweet guy. He would give you the shirt off his back without even batting an eye. If you needed something and if he could help you out in any way he would do it without even thinking twice. He was an extraordinary person and it's more than a shame that he is being portrayed in the way that he is. Ted and Aimee - Our prayers go out to Adam's friends and family as they go thru the aftermath of this taser-killing. I hope that the true story of Mr. Spencer gets told. The police are definitely spinning the story of his 'irrational' behavior for all its worth. I hope that this family is going to sue orlando police department!! In Theledger.com the quote of sgt. Barbara Jones is COLD, RUDE and out right DISRESPECTFUL! I did not know this man, but I keep his family and friends in my prayers and I hope they fight for his name to be cleared as "irractional". Digital Goonie and Amy - I hope that the truth comes out sooner rather than later. We join you in sharing prayers and sympathy for Mr. Johnson's friends and family. Please let us know if you hear any new information. I'm also looking to locate a digital photo of Mr. Johnson. Please let me know if you have one that you would be willing to share. All - Autopsy results have been released and it sad to realize that Mr. Johnson was tased 4 times ... including once for over 30 seconds. All - The family of Adam Johnson have filed a lawsuit against the taser-killing Orlando cops. Read more. Are You Watching 'Black in Latin America' on PBS? Did They Find the Body of Phylicia Barnes? Is Rev. Jesse Jackson on the Down-Low?